letter O . Lesley has chosen O is for Oval. Please pop over to see the creations fo the DT. it is an old but a favourite stamp of mine. sprinkling of glitter here and there. The greeting stamp is by Crafter's Companions. Have fun, don't forget to pop back to see what else I have been doing. our challenge is Anything Christmas Goes. We are looking forward to seeing your Christmas card designs. were kindly supplied with digi stamps from our sponsors. Promarkers. With lots of glitter adding sparkle. Don't you just love those snowballs dangling on the card. for our challenge - Dragonflies. it would be a shame not to pop over to see them. I masked two sides of my card, leaving the centre to work on. stamped with Versafine black ink. The sentiment is from Crafter's Companions. Hi, today we begin a new challenge over on Cardz 4 Guyz. fabulous cards to inspire you. Oh! I do like to be beside the seaside. I hoep you enjoy the challenge. amazing and beautiful inspirational cards for Christmas. created a silver mirri and blue sky with snow layers. coloured with Promarkers and DI Broken China. Looking forward to seeing your card entries. conditions they have suffered over the last few weeks. 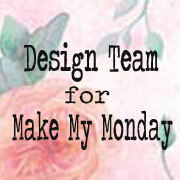 Today we begin a new challenge at Make My Monday. it gets dark so early. The Autumn colours bring an extra warmth. some wonderful inspiration for you to see. wooden stamp I recently bought for £1 at a craft event. I have coloured the fruity Autumnal wreath with Promarkers. Have fun using your beautiful colours for the Autumn. Hello, hope you are well and thanks for your visit. Today at Cardz 4 Galz we begin a new challenge. The DT have some great ideas, why don't you pop over? pretty gingham and plain papers, adding some Baby Girl ribbon. All of course in shades of pink. Little Claire Designs, coloured with Promarkers. yet 100% Thank goodness for antibiotics. Today we begin a new challenge at Cardz 4 Guyz chosen by Helen. Please take a look at the super designs from the team. I created the background using three Distress Inks. 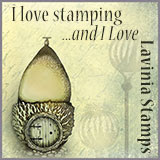 The square negative silhouette stamp is from Imagination Crafts. Matted and layered onto toning papers, black and then Kraft card. I do hope you like my take on Nature. hello everyone, hope your well and enjoying crafting. Pat has chosen for the challenge Under The Sea. Please take a look at the fabulous inspiration from the DT. reated witht he water technique using Distress Inks. Coloured with Promarkers, white gel pen and Glossy Accents. Hello, hope you are well, and welcome to my blog. contributions from the Design Team. for Little Claire Design stamps. decorating their ladder tree. Coloured with Promrkers. Hi, to all my visitors, shy you may be, for I have more visitors than comments. Please check out the wonderful DT creations. I was inspired by a card I saw on Pinterest. The stamps used are by Craftyscrappers - Magical birthday set. They are such cute dragons, I love them. The dragons are coloured with Promarkers. blue glitter sheet. Hope you like my card. Have fun. I ahve chosen for the challenge - Christmas Animals. 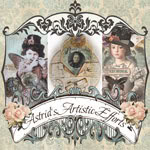 The Design Team have had great fun with this one, so please do go to see them. 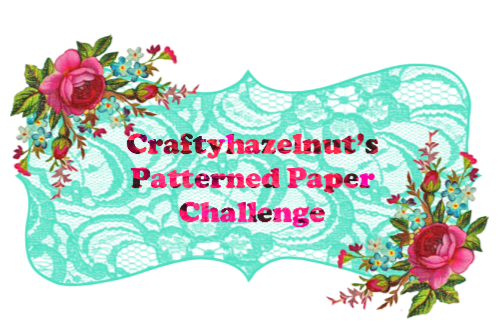 I used a Kraft card, covered with papers from my stash from Creative Crafting World. The stamp is by Katy Sue Designs, Tall Tails the Reindeer. Gold mirri card and Card Candi added to the design. Hello, here we are ther 1st of September, don't the months go by fast? Time for a new two weekly challenge at Winter Wonderland. 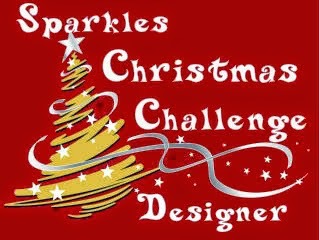 The challenge is Dots and Stripes (Christmas related). with Promarkers and of course a sprinkling of glitter. Die cuts from Marianne Dies- Spellbinder Dies. I hope you have fun over the next two weeks. Julie has chosen for the letter M - Make Your Mark. We are looking for you to get out your pens, pencils, paint brushes etc. 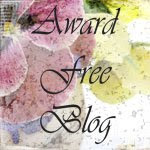 Please pop over to check out the DT inspiration. I have made a Kraft card with an Autumn type background paper. The stamps I used are from Hobby Art - Farmhouse Scene It set. sitting on the log? Have fun.